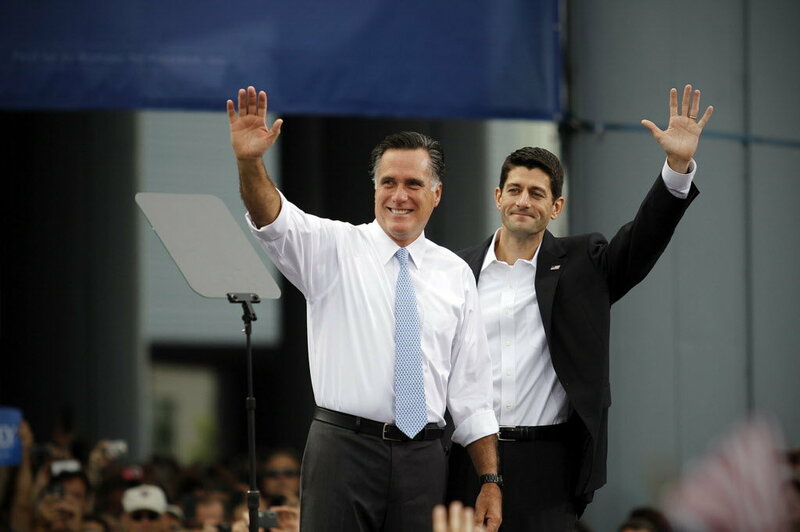 Today US presidential candidate Mitt Romney presented Paul Ryan as his vice presidential nominee. Let's take a closer look at this hands. I don't know which is worse his straight low set heart line or his smile that looks like a frown with the downward corners. The combination is disturbing when I think of him in such a high leadership position. I think he is likely to see people as masses rather than individuals. Martijn, in the 'large' photo with his right hand - how would choose which crease to use to measure the length of the palm. It's pretty obvious that the wrist crease from the ulnar side is on the palm. 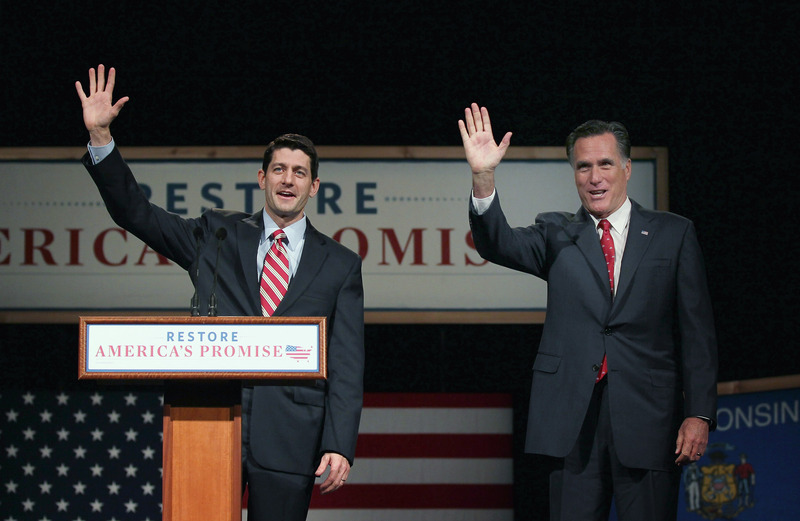 I think Paul Ryan has 3 wrist creases, I would pick the upper crease. The picture below presents a better impression of his wrist creases. 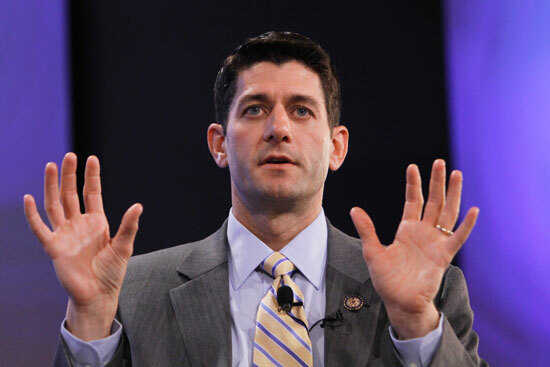 I don't know Ryan, but his hands look like this guy should bring much more 'dynamics' and emotion (see e.g. his prominent mount of moon) into the election process. I hear that many people in the democratic partly like his personality... but fear his ideas (which is not surprising since he belongs to 'the other' party). The high set wrist crease is an example that I mentioned in the other thread on hand measurements. My thoughts on using a wrist crease that crosses on the palm is not a true measurement of palm length when the actual palm continues farther down toward the wrist. It's a measurement instead of the length of the metacarpal from carpals to the metacarpophalangeal crease. Paul Ryan is part of the religious right. He will certainly stir up emotions! In my new picture the upper wrist crease is not on the palm - I perceive it to be below the mount of venus. When I look at the boundaries of the palm, I look for where the palm actually ends. Patti, many palms tend to extend on the ulnar side - sometimes even beyond the 2nd wrist crease (in those cases that is probably where the ulna bone of the arm starts) - see picture below. 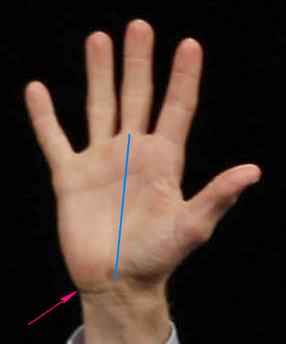 However, for assessing hand length (or palm length) it doesn't matter how far the ulna part of the hand extends - because hand length (or palm length) is defined to be measured at the center of the hand. I do not think the location of the upper crease is associated with the same location on the carpals in every hand. The actual palm can be increased in length by either the thenar or lower hypothenar mounts. But that is off topic here so I won't continue. Yes Patti, by principle it is possible to use different parts of the palm - however, not sure which purpose you have in mind... but then one could/would end up comparing people's hand length based on different locations of the palm (and one should be aware then that by principle one can not compare such measurements with the results of anthropometric / scientific studies, etc.). Regarding the biological cause of the upper wrist crease... let's not forget that palm length is defined from central (wrist) crease to central (3th finger) crease. So, the definition make sense because it is not only a well-defined principle - it also makes sense in the perspective that finger length is also defined from (central) tip of the finger to central (3th finger) crease. PS. Regarding, the extension of the palm at the thumb side and pinky side... I think it is hardly possible to describe those alternatives as a fixed point. For example, regarding Paul Ryan's hand I could argue that your pink arrow is positioned far too high since the mount of moon appears to extend a few mm's beyond that point more central in the wrist, etc. Patti wrote: I don't know which is worse his straight low set heart line or his smile that looks like a frown with the downward corners. The combination is disturbing when I think of him in such a high leadership position. I think he is likely to see people as masses rather than individuals. but, it is long enough to reach under the mount of Jupiter + The space between heart line and head line is good. So, looks like he is considerate and isn't swayed away by emotions. Does a straight heart line without curve indicate less emotion or dealing more rationally. Sometimes i have seen straight heart line going low to mount of jupiter, does anybody what it indicates. Some mention jealousy, some head rules over feeling. Can anybody help me out in this.